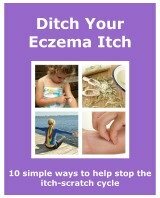 There has been a lot of talk about how to wash clothes so it has no effect on your Eczema. We all wear clothes, well I’m assuming we do! We wear them for a large amount of the day and sometimes at night. They have constant contact with our skin. This is an especially important point when it comes to babies. They naturally have sensitive skin. So they don’t need their clothes causing them irritation. The main topic related with how to wash clothes has tended to be, biological vs non-biological detergents. But in recent years this appears not to be the biggest issue. We will start with the bio vs non-bio debate. You have probably, like me, grown up with being told that we shouldn’t use biological washing products if we have eczema. I have faithfully stuck to this. But its now starting to look like I didn’t need to. Biological products have enzymes added to them. These break down dirt. It was always thought that it was these enzymes that cause irritation to the skin. I cant say for definite if they do or don't. Like everything else, they may for some and may not for others. Though research seems to suggest that it is more important to rinse your clothes fully, than worry about which washing products you use. There are some brands of clothes cleaning products that are made for sensitive skin. These may still have chemicals in them. They may cause a skin reaction, especially if you are very sensitive. If you are worried about trying something new, just wash a couple things in it to see if its suitable. This saves rewashing a whole load if it is not. Just a bit of hand-washing would be needed. Here are some laundry tips on how to wash your clothes that may help keep skin irritation to a minimum. They are thought to be just as important as which type of cleaning product you use. As an eczema sufferer or as a parent of one, you know that eczema treatments are used to minimise flare ups or as a maintenance. Some of these treatments are greasy, like emollient ointments. As it is applied to our skin it is very likely to get on our clothes. It has been reported that this grease can damage the rubber seal on the washing machine. 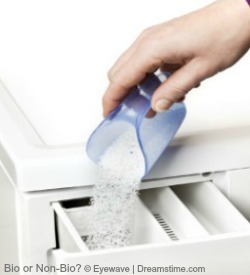 After reading about how to wash clothes you can decide if you want to continue to use commercial powders and liquids. You can see that there are some things you can do to help reduce the chance of a laundry detergent allergy. If you want to try something natural then read about some Natural Laundry Detergents to find out about some products you can buy that are chemical free. You can decide if they are worth trying.